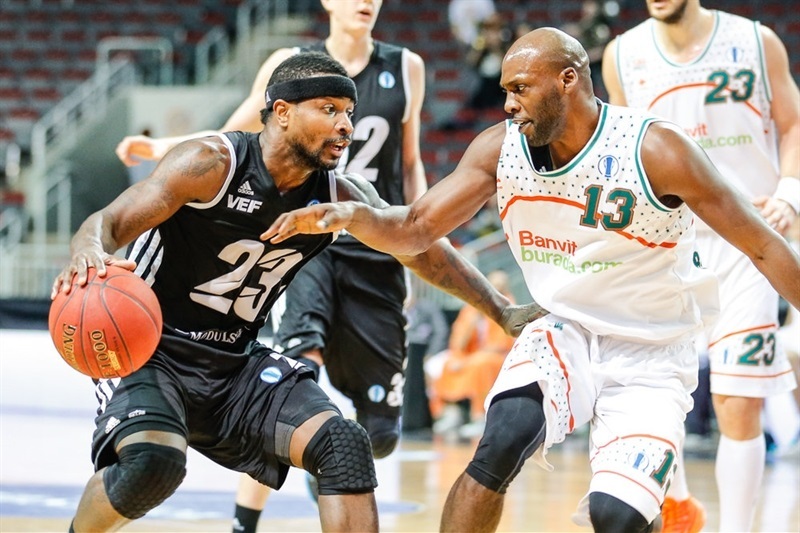 Banvit Bandirma finish third in Group G and made it to the Eurocup Last 32 despite a 91-77 road loss against VEF Riga on Wednesday. Both teams finished Group G tied for third place, each with a 5-5 record, but Banvit's 83-64 home win in Bandirma allowed the Turkish powerhouse to get the tie-break advantage and advance to the next round. Dee Brown led VEF with 22 points and 11 assists. 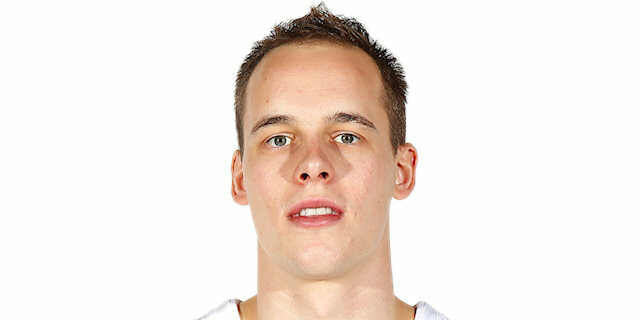 Kristaps Janicenoks and Kenan Bajramovic each added 19 points while Antywane Robinson had 10 and 14 rebounds for VEF. 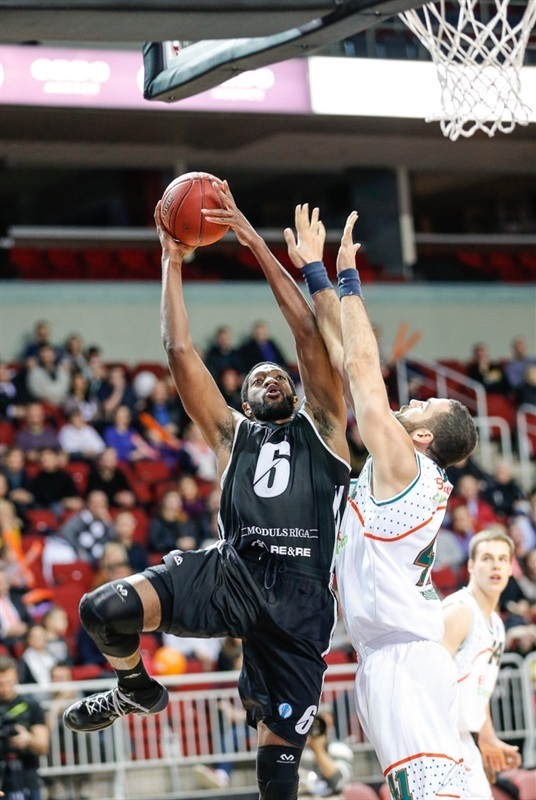 Chuck Davis led Banvit with 19 points. Keith Simmons added 14 while Sammy Mejia had 12 for the guests, which led 40-51 early in the second quarter. 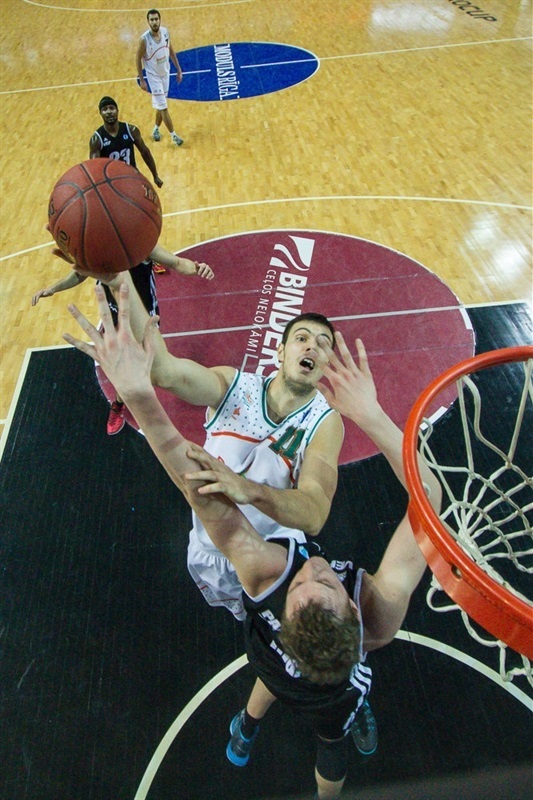 Barjamovic, Brown and Janicenoks allowed VEF to rally and get a 16-point lead, 91-75, with 18 seconds left. 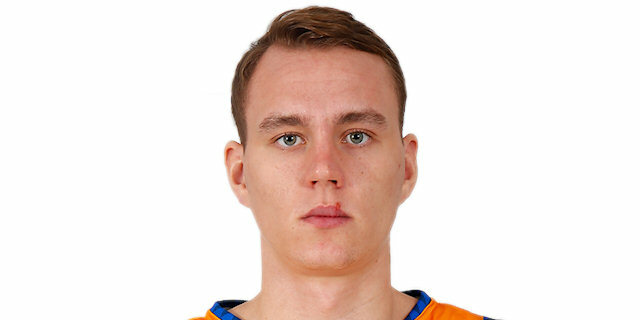 Free throws by Klemen Prepelic allowed Banvit to seal its ticket to the next round. Both teams went scoreless for more than 3 minutes until Bajramovic hit a jumper. Brown followed a triple with a layup for a 7-3 VEF lead. Davis and Stefan Markovic stepped up for Banvit and a dunk by Simmons gave the guests a 14-15 edge. Bajramovic and Brown fueled a 6-0 run that put VEF back ahead, 21-15, after 10 minutes. Simmons struck from downtown and Mejia brought Benvit within 21-20 early in the second quarter. Arturs Berzins and Robinson stepped up for VEF but Simmons and Mejia kept Banvit as close as 30-29. Janicenoks and Barjamovic kept pacing VEF but back-to-back triples by Prepelic and Cehver Ozer tied it at 38-38. A layup by Janicenoks and a dunk by Davis fixed the halftime score at 40-40. Mejia and Ermal Kuqo fueled a 0-11 run that Dusan Cantekin capped with a put-back basket for a 40-51 Banvit lead right after the break. Anzejs Pasecniks and Bajramovic, however, ignited a 13-1 run which Berzins capped with a dunk that bring VEF back to life, 53-54. A layup by Robinson completed the hosts' comeback, 58-56, and a three-pointer by Brown gave VEF a 61-58 edge after 30 minutes. Bajramovic scored again and an unstoppable Brown gave the hosts hope at 70-60. Davis and Simmons stepped up for Banvit but Barjamovic restored a 76-66 VEF lead with 4 minutes left. 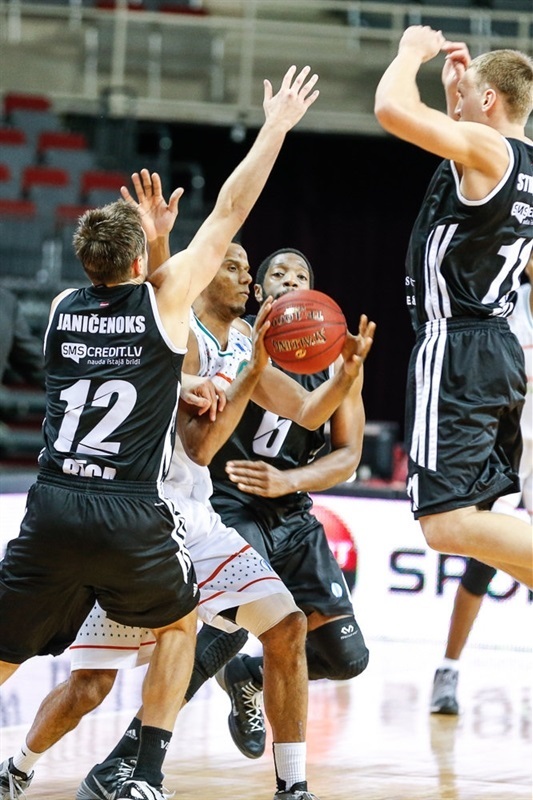 Barjamovic, Robinson and Janicenoks allowed VEF to get a 15-point margin, 88-73, with 29 seconds left. Free throws by Davis and Prepelic kept Banvit out of trouble in crunch time. "Today we won, but it does not give any satisfaction. Our game was not bad, but ultimately this win is not enough for us to advance. Guys played hard and proved that they can play well, but it was too much an up-and-down type of game. At least we finished Eurocup season on a somehow positive note." "First of all, congrats to Riga on this win. They just wanted to win more than us. We had some tough misses like missed free throws which probably were because of lack of concentration. They made some big shots and got the win. We played with fire, but we have made the next round, which is actually the most important thing, so congrats to my team. I hope that we are going to learn from this game and now we can look forward. Good luck and all the best to Riga in their remaining season." "Thanks to all the fans who came to support us. We got the win, but unfortunately without the needed point difference." "I want to congratulate the home team as they had a good game. Riga was better tonight and they deserved to win. They were very good offensively, scoring 91 points while we missed many open shots. We made the next round even though so far we have played better in the Turkish League than in the Eurocup."